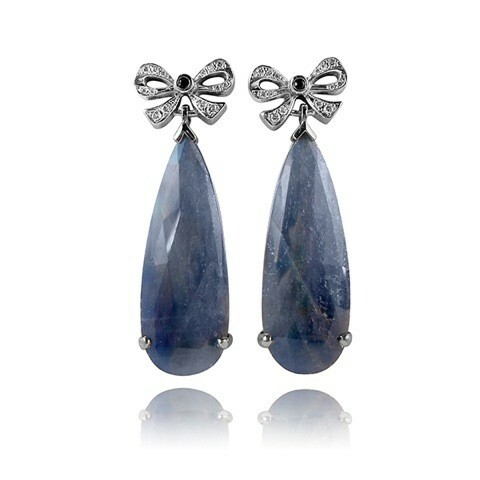 The diamond and sapphire bows on these earrings perfectly balance the pear-shaped blue sapphire slices that hang from them. The sapphire slices have a total weight of approximately 37.98 carats and vary from blue to light blue. I love the ombre look the colour variation gives these earrings! The total diamond carat weight is approximately 0.25 carats.